Are you enthusiastic about a future career in the hospitality and tourism industry? 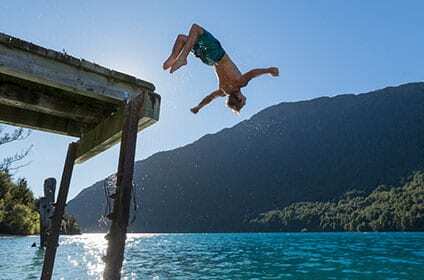 QRC awards two National Scholarships this year; one for the Hospitality Management Diploma and one for the Adventure Tourism Management Diploma. Our scholarships are based on merit and a true passion for the industry. The QRC National Scholarship will cover the cost of students’ full second year Diploma tuition fee ($13,312). Enthusiasm for the industry: the desire to pursue a career in hospitality or adventure tourism. Commitment and professionalism: a motivation to succeed academically, be a QRC Ambassador and leader for our student body. Personal excellence: a good academic record and demonstrated achievement in a range of extracurricular, sporting, community and leadership activities. Scholarships are open to Citizens or Permanent Residents of New Zealand. Scholarship recipients must begin Diploma study in 2020. To apply, you need to complete a QRC National Scholarship Application Form, a synopsis about yourself (as detailed in the application form), a QRC Diploma Application and attach any relevant supporting documents. These must all be submitted to admissions@qrc.ac.nz by Friday August 30 at 5pm 2019. The Scholarships are for study at the Queenstown campus only. Make sure to read and understand the Terms and Conditions of the Scholarships as detailed in the QRC 2030 National Scholarship Application Form available in June 2019. If you are a Domestic student interested in studying at QRC Tai Tokerau Resort College, you may be eligible for a study grant. Study Grants are means tested based on your family’s combined house hold income and to qualify you need to apply for and subsequently qualify for a StudyLink Student Allowance. 1. Apply to QRC. Send your application to QRC Admissions (admissions@qrc.ac.nz), complete the admissions process. Then receive a Conditional Offer of Place. 2. Apply for StudyLink. StudyLink is the government organisation that allocates Student Loans to cover your tuition and living costs. Visit the StudyLink website and complete the application process. 3. If your household income is proven by StudyLink to be $80,000 or less you will qualify for the reduced fees. 4. Send your StudyLink documentation to the QRC Students Accounts Manager at accounts@qrc.ac.nz. QRC Study Grants of up to $9,812 are available. If you are eligible, a Grant will reduce Tuition Fees from $13,312 per year to $3,500. QRC will be awarding one Tai Tokerau Scholarship this year; for either the Hospitality Management Diploma or Certificate in Cookery. This scholarship is based on merit and a true passion for the industry. The scholarship offers up to $6,000 towards accommodation at the QRC Tai Tokerau Halls of Residence. The Scholarship Is open to Citizens or Permanent Residents of New Zealand. 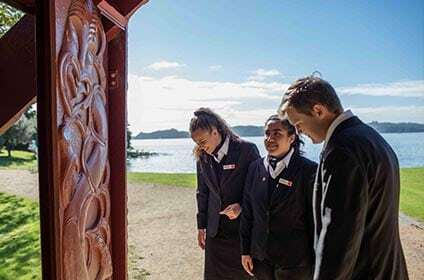 Scholarship recipients must begin study in 2020, at QRC Tai Tokerau Resort College or QRC Culinary. Applications for this scholarship will open in June 2019. To apply, you need to complete a QRC Tai Tokerau Scholarship Application Form, a synopsis about yourself (as detailed in the application form), a QRC Programme Application and attach any relevant supporting documents. These must all be submitted to admissions@qrc.ac.nz by Friday 27 September 5pm 2019. The Scholarships are for study at the Tai Tokerau/ Culinary campus only. Make sure to read and understand the Terms and Conditions of the Scholarship as detailed in the Scholarship Application Form.